Car AC Blowing Warm Air Intermittently – What to Do? The AC unit is one of the most frequently used part of your car. But when the ac unit isn’t serving its goal, things become a little uncomfortable for us all. Sometimes, car air conditioner blowing hot air instead of cold air. And you need to know how to solve the problem immediately. Well, you might call up a car mechanic and solve such car ac cooling problem for the price of a few hundred bucks. But if you’re a DIYer, you may not prefer it. How Would You Know If There Is A Problem? Well, you might have faced a number of car ac cooling issue with your car AC from time to time. But this problem that we are talking about, is quite a different one. When you turn on the car AC, you expect it to blow hot air for the first few minutes. Because the cold air takes some time to get produced. Over time, the AC cycles the air and turns it into a cool one. But what if the car ac doesn’t blow cold air at all? What if it keeps blowing hot air all the time? Yeah, that’s our problem. And we guess, you’re suffering from this problem right now. No, your car AC didn’t forget to turn the air cooler. There is probably a problem that you need to take care of. What Happens When Car AC Stopped Blowing Cold Air? No matter it’s your home ac or the car ac, there is a device named condenser in each of them. Its job is to cool the warm refrigerant, and that makes the air cold when it reaches the evaporator. This condenser has cooled and fans to push the air through. And that eventually cools the refrigerant. Sometimes, the coil may get dirty and stay out of order. Sometimes, it might get clogged as well. So, the air wouldn’t come cold from the dirty car ac condenser anymore. And that’s probably what happened in the case of your car ac as well. How long are you driving the car for? Is the AC filter old enough? When warm air is coming out, is it coming from all the vents of the ac? Does this problem occur all the time? Or it’s occasional? Does the control panel of the AC unit work properly? When does it happen? Is it in the middle of driving or while the car is stopped? This part of the content contains the solutions to the problem for which you are here. In this part, we’ll learn how to clean car ac condenser coils, as this is the probable reasons for your problem. Pressure washer for the car. First things first, you need to open up the car ac. If you’re dealing with car troubleshooting by yourself, you should have enough idea on how to do that. You’ll need a set of screwdrivers to open up the cover. Afterward, you’ll be exposed to the ac fins. There should be screws with that as well. Open up the fin, and let’s proceed to the next step. Before cleaning the condenser, clean the fin if there is any dust. Be certain to be able to handle the fins with care, because they are pretty lightweight and made of light aluminum. Use a fin comb to get done with this step properly. To clean the condenser coil, you’ll need a water pressure washer. Make sure to get the best car cleaning pressure washer with a pressure controller. Now, clean the coil from the car ac condenser from both inside and outside. To get done with that, don’t pour water onto the coil directly. Because that might cause the dust and debris to get deep into the coil and cause more car ac condenser issues, which are unexpected! First, direct the water pressure against the direction of airflow. This will push the dirt at the opening. If you’re done with step 4, the debris and dust that are large and loose should be wiped away. Now it’s time to take care of the stubborn and oily dust. Take a water mixture with no less than the best detergent for the car wash. Make the mixture saturated enough. And now, immerse the condenser into the cleaning mixture. Keep it for 10-20 minutes. Now, take a brush and start cleaning the coil smoothly. Remember not to be too harsh with the cleaning. That might damage the structure of it. If you’re done with both of the steps, take the coil out and clean it off with the best air blower for the car. If you don’t have any hot air blower, you may try it to keep under sunlight or dry air. Make sure to enough airflow at the place where you’re drying it off. Throughout the steps of solving this car ac cooling issue, you might have noticed that pressure washer had been used. The fins of ac units are bend at near around 140psi. But the pressure washer would apply a force on the fin which is around 600psi. So, make sure to have a pressure washer which is controllable. Get a condenser needle for more precise operation. This will let you clean small openings like car ac fins with proper pressure. Make sure to have no water on the condenser while putting back on the ac unit again. 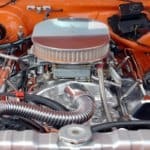 Hope this guideline on how to fix car ac blowing hot air helped you out to get done with the issue of car ac blowing warm air intermittently. 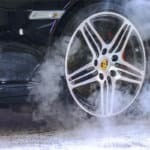 The 7 Best Catalytic Converter Cleaner in 2019! 13 Best Car Amplifiers to Listen Vast Music 2019!